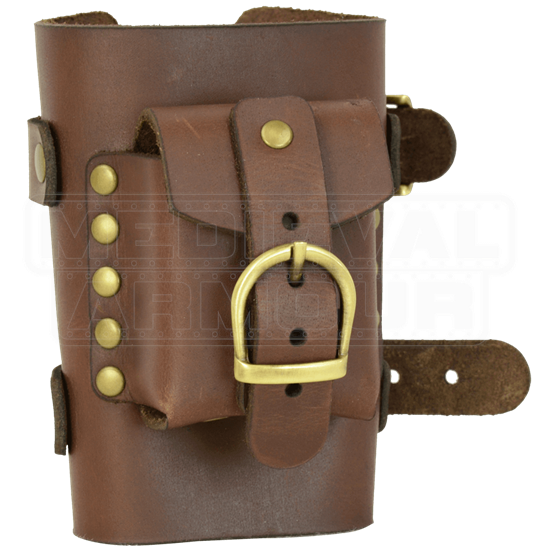 When your utility belt is at full capacity, consider this Wrist Cuff with Small Pouch for an additional storage slot. Also great for anyone who travels light, this leather accessory will keep your treasures secure and easy to reach. Hand crafted in our shop from 5/6 ounce chrome tanned leather, this wrist cuff is finished with antique brass hardware. This soft leather is sturdy yet very comfortable against your skin. The cuff secures with two adjustable buckled straps for a custom fit. Perfect for carrying a compass, keys, or other small items, the pouch secures with a brass buckle and leather strap. 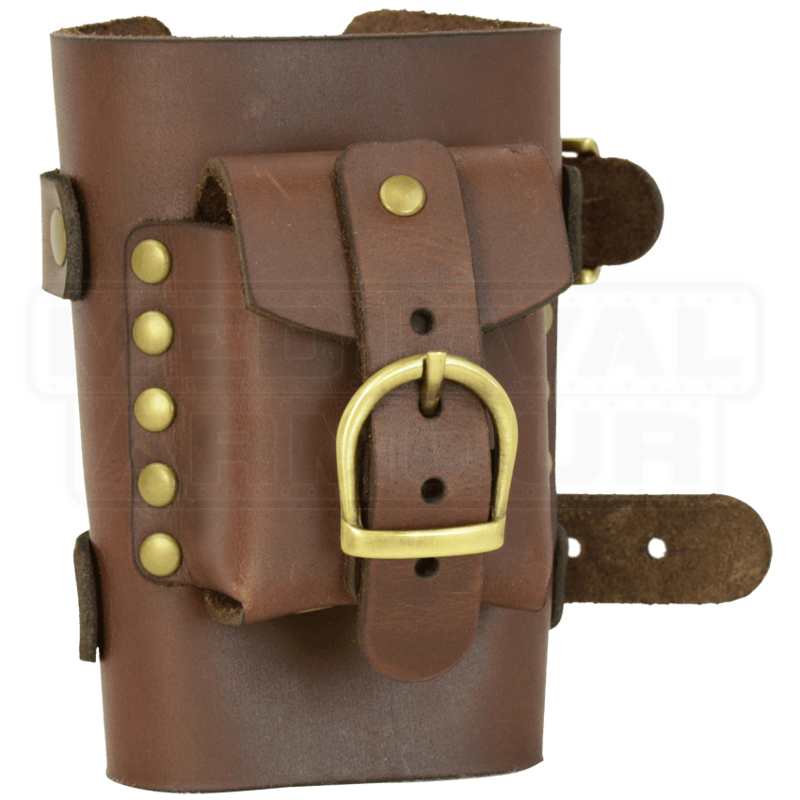 The Wrist Cuff with Small Pouch is an excellent accessory for adventurers in settings including LARP, Steampunk, and Medieval campaigns.